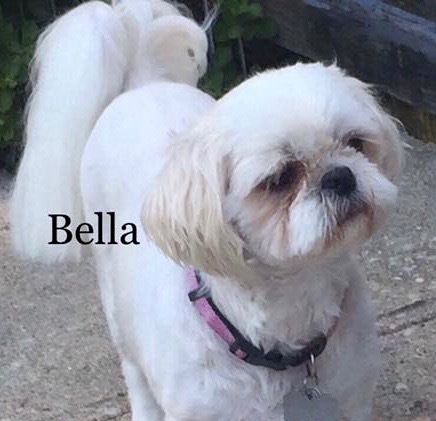 This is Bella & Mia! These two lovelies were a local owner surrender due to owner’s health decline. Both girls are 7-years-old, fully vetted, spayed & house trained. 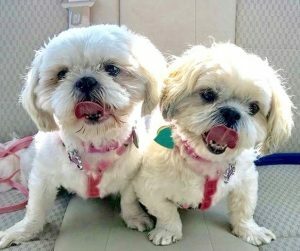 They are a purebred Shih Tzus & are a bonded pair that MUST be adopted together. They are sweet & loving but are not fond of young children so kids over 14 would be best. They are good with some other dogs but tend to be very dog selective. Ideally, they would be the only queens in their castle!! If you can open your home to both these lovely ladies, please apply!! Their adoption fee may be more (since there are two) but so will the amount of love you receive! !